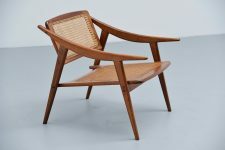 Fantastic shaped forme libre easy chair designed and manufactured by Roger Landault, France 1952. 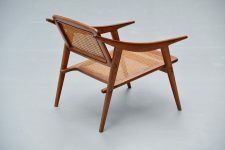 This chair is made of solid oak and has a cane webbing inlayed seat and back. 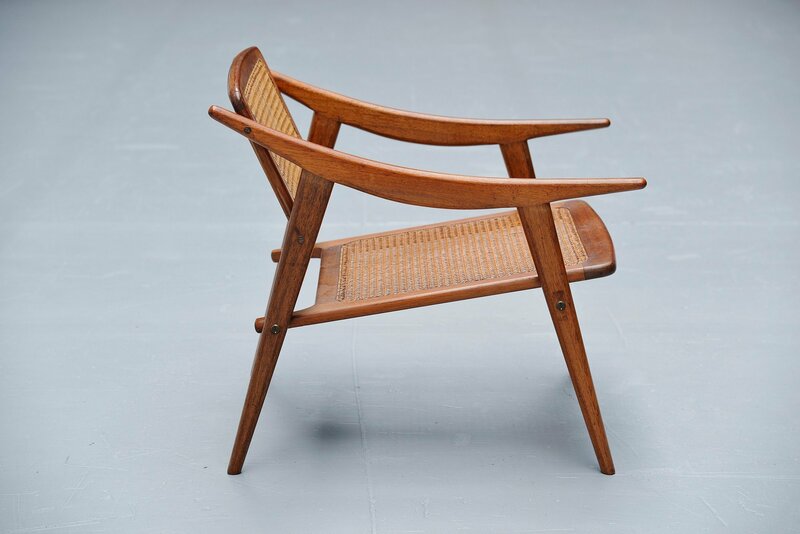 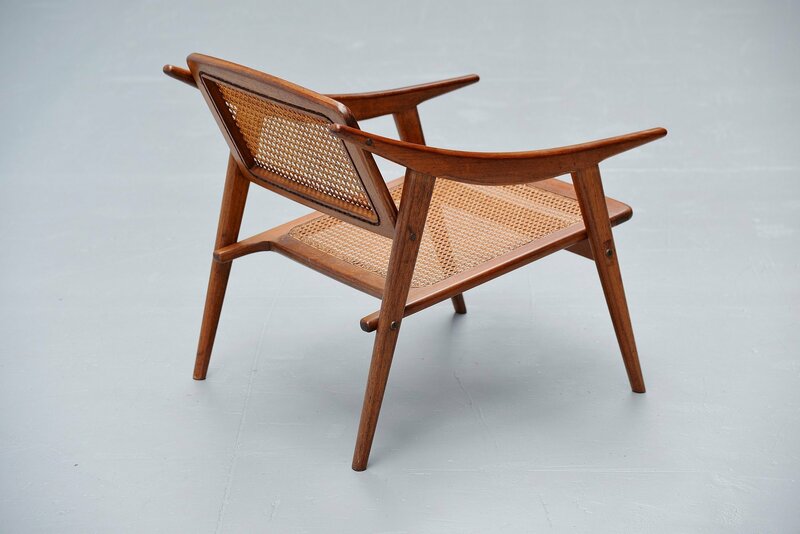 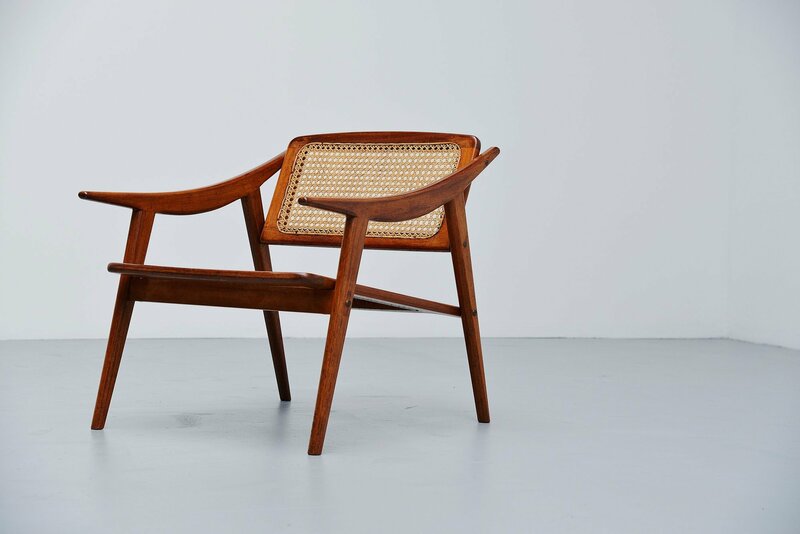 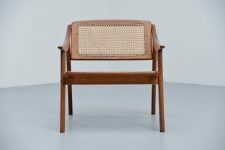 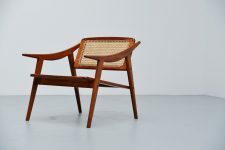 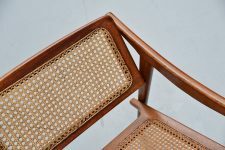 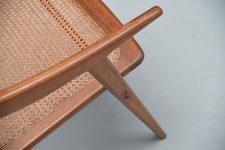 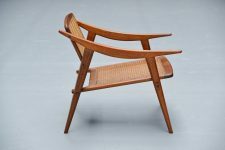 This chair is close to several designs by Pierre Jeanneret and Charlotte Perriand. 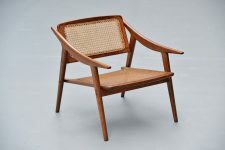 Its in very good original condition with nice patina to the oak wood, but no damages. 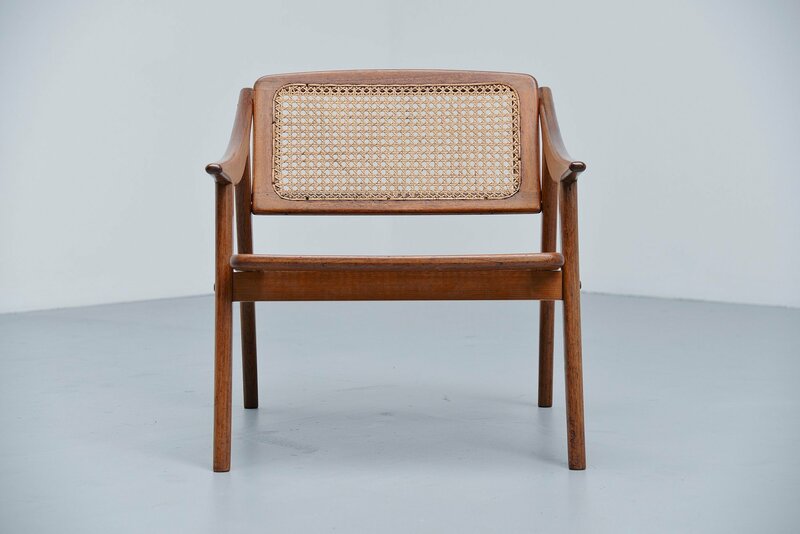 Superbly shaped typical French easy chair, extremely hard to find piece of French design.